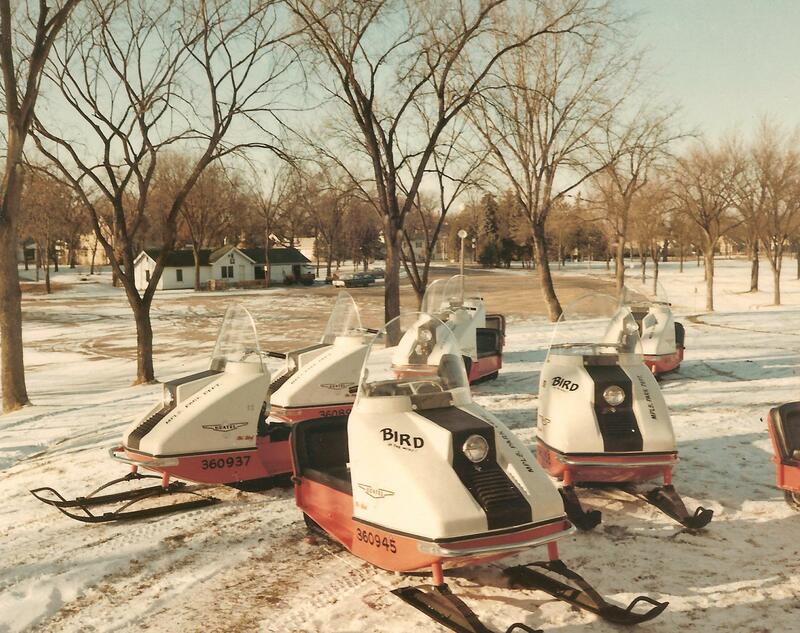 One of the earliest snowmobiles, perhaps the very first one, was reportedly built in Minneapolis by Frank W. Griswold (1895-1992), a prolific inventor who later became a successful industrialist, owner of the Griswold Signal Co. and several other firms. 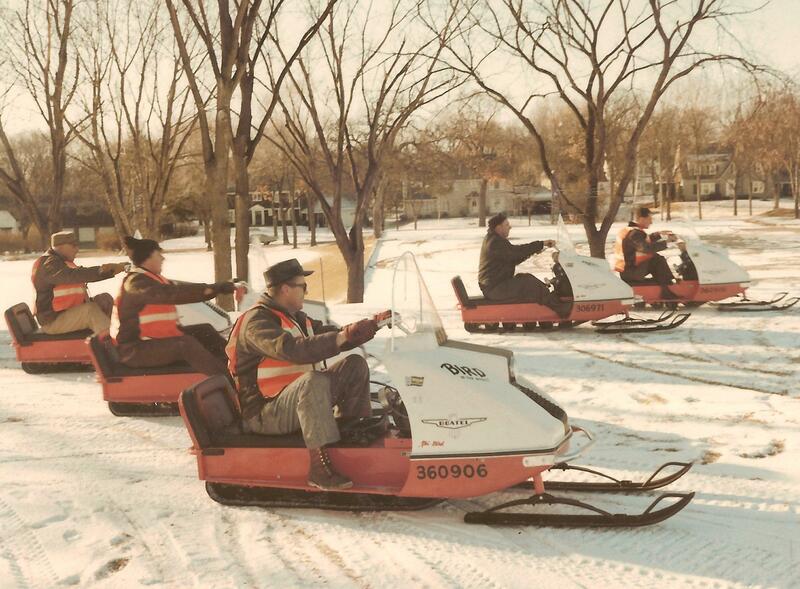 A niece of Mr. Griswold told me a couple of years ago that Frank, as a young man, managed to adapt a gas engine to drive an ordinary coasting sled over snow and ice. She didn’t describe the details of the driving mechanism, but it worked. 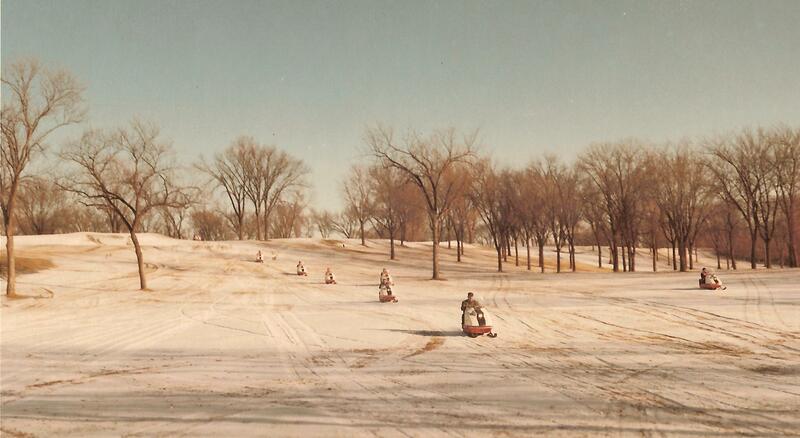 At that time the Griswold family lived on Nicollet Island, and Frank tested his machine by running it up and down the frozen Mississippi on the ice. Of course that was somewhat risky due to the instability of river ice, but the test was successful. From the context, this might have been as early as 1915. Fascinating, John, thanks. Do you know what became of the invention? No, I don’t, unfortunately. It was only one of several subjects mentioned by Mr. Griswold’s niece. I believe she was recounting something she’d heard from other family members, rather than something she had witnessed. It’s possible that this powered sled was intended primarily to run on ice and packed snow, which would have limited its marketability somewhat. A coasting sled is OK on ice or packed snow but can’t travel over drifts.